No Pre-Approval Necessary - Bigger Discounts! All Trade Up licenses can be found on their own individual product pages or purchase them below, more options can be found on individual product pages. Can't find the part you are looking for? Contact us today! 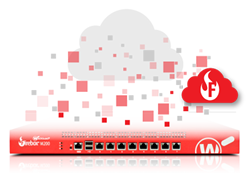 Current WatchGuard customers can earn up to 25% off the purchase of the latest Firebox or XTM technology. The WatchGuard Trade Up Program allows you to replace your aging products with the best WatchGuard has to offer, keeping you a step ahead of the evolving threats that endanger your business. By participating in the WatchGuard Trade Up Program, you ensure your network is protected by the very latest in security, reliability, and performance - without hurting your bottom line. The Trade Up Program is available to current WatchGuard customers. Trade an earlier-generation WatchGuard appliance and move up to a new WatchGuard solution at up to 25% off the standard purchase price. 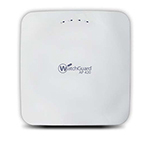 The program includes options to trade up to a physical appliance or to a virtual appliance. To activate Trade Up products, the owner must retire an earlier generation WatchGuard appliance. By retiring a WatchGuard product, it no longer appears among your managed products; it is not capable of upgrades, add-on activation, or software downloads; and ownership cannot be transferred. Not all devices are eligible for all Trade Up appliances. 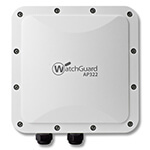 The Eligibility Charts on page 2 list eligible WatchGuard devices. Appliances purchased through WatchGuard's HA (High Availability) promotion are not eligible for trade up. During product activation, you are required to identify the product to be replaced within your account. Once the eligible device has been identified, it will be retired and the new box will become active. WatchGuard reserves the right to deactivate a new Trade Up product if the Trade Up product is determined to have been activated in violation of the Trade Up Program's Terms and Conditions below. Not a current WatchGuard customer? There are many reasons to look at upgrading your current security firewall. Now, trading in a competitor's appliance for the award-winning technology from WatchGuard couldn't be easier. 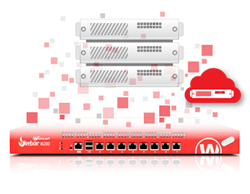 Whether your network calls for a next generation firewall or full UTM security, WatchGuard offers both physical* and virtual solutions to meet your needs now and into the future. And with special pricing, why wait? Find out more about Competitive Trade In Program. WatchGuard Technologies reserves the right to deactivate a Trade Up product at any time if found to be in violation of program guidelines. WatchGuard reserves the right to change or cancel any aspect of this program at any time. For certain products, Trade Up is restricted. Review Eligibility Chart for qualifications. 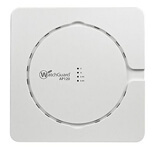 In order to be eligible for the Trade Up Program, the device being traded up must be activated in the same Support account at watchguard.com (formerly called LiveSecurity Service account) that the new Trade Up product will be activated in. Appliances purchased through WatchGuard's HA (High Availability) promotion are not eligible for WatchGuard's Trade Up Program. Device being traded up must not have been previously retired or otherwise deactivated prior to activation of new Trade Up product. Trade Up options include Basic Security Suite or Total Security Suite.